This tour is for cyclists with experience. Tours are available at 11:00 a.m. Please send your height in the note field of the booking form. Group sizes are limited to 6 people. Duration of activity is variable depending on the route. Participants should be experienced cyclists. Most people come to Lanzarote for the relaxing beaches. 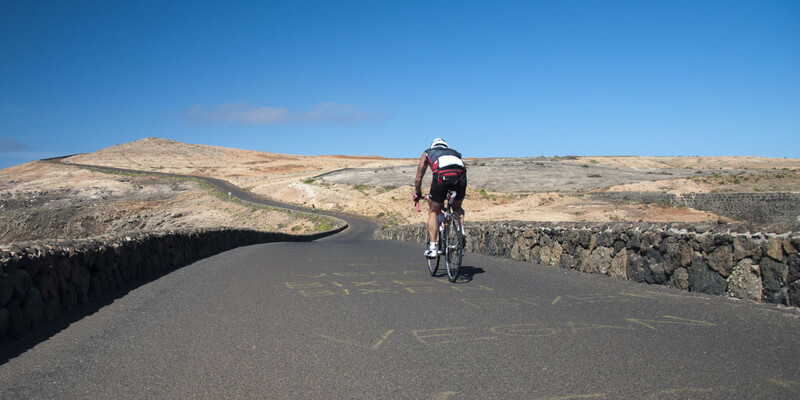 Others come to bike the islands endless hills and valleys in the annual Ironman triathlon competition. Whether it’s length, elevation or speed, test your cycling ability on a route for experts through a stunning volcanic landscape. When booking your trip, make a note about your capability and your goals to give us an idea about which route to take you to. The day of the trip, your guide picks you up at your accommodation to bring you to the bike shop. Once the bikes are fitted, you head to the route to begin your challenge. 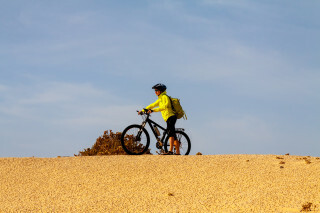 Click your helmet and cycle flat along the gorgeous rocky coastline to test your distance. Along the 213 km (132 mi) coastline, you pass views of orange rocks sitting sharply against crashing blue waves. If you’re looking for hills, attempt the Ajaches or Famara mountain ranges, both formed from volcanic eruptions millions of years ago. Today, years of erosion and dry conditions create a desolate landscape, and you're likely to spot craters and volcanic cones. If you're a triathlon trainer, try going up against the annual Ironman competition’s cycling route. The scenery is gorgeous, and an Ironman poll voted it "the toughest Ironman in the world." The 600 m (2000 ft) in elevation and 180 km (590 mi) long route offers a true endurance test. Whichever path you take, your guide rides with you to offer advice, encouragement, and commentary about the unique features of the island. 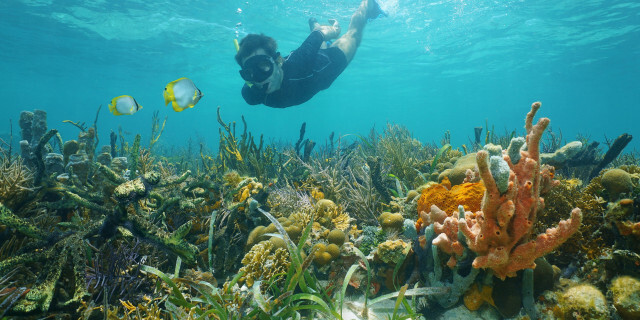 You're likely to have fantastic weather, as Lanzarote's has been called the "Island of Eternal Spring" with it's tropical and desert climate. 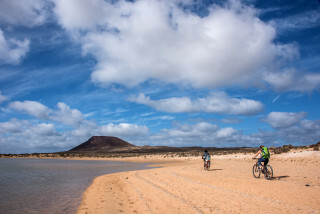 Although the island is small, Lanzarote’s numerous hills and interesting environment create a cyclists’ paradise. 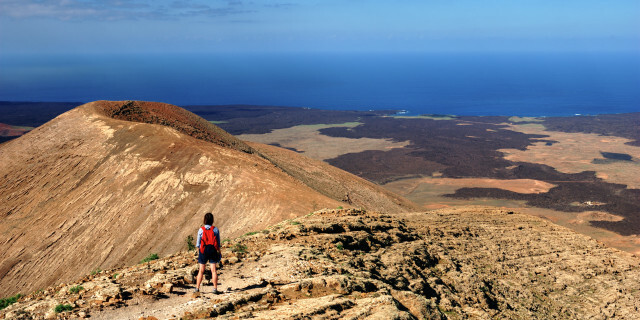 Find your perfect challenge as you explore the Canary Island’s most volcanic island.